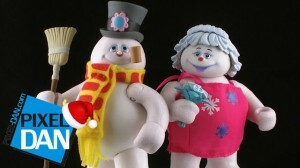 This is Day 5 of the 2012 Toy Review Advent Calendar! From the classic animated holiday special Frosty the Snowman comes Frosty and his snow bride Crystal! Join me for a look at these two Christmas special toys!